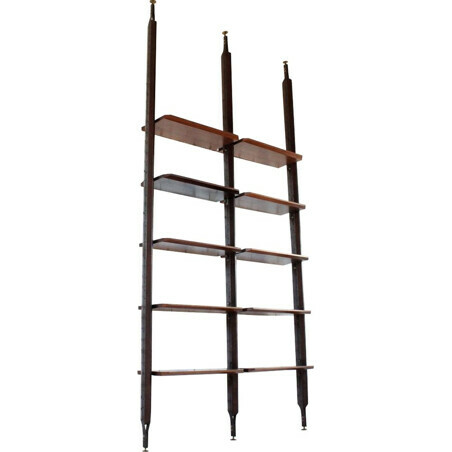 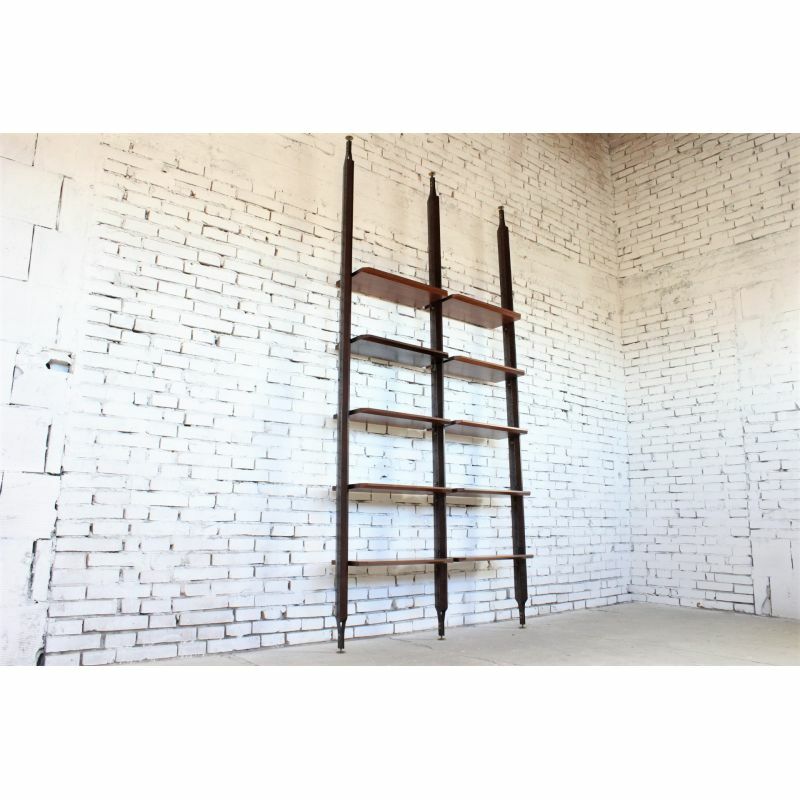 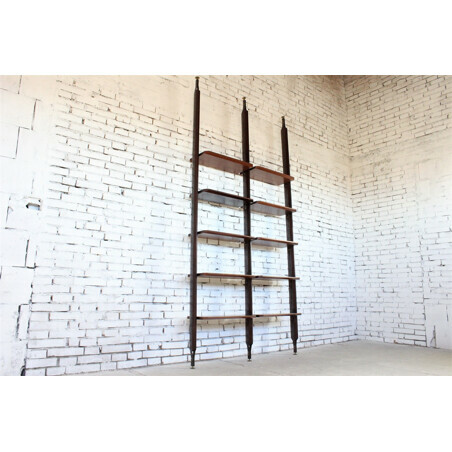 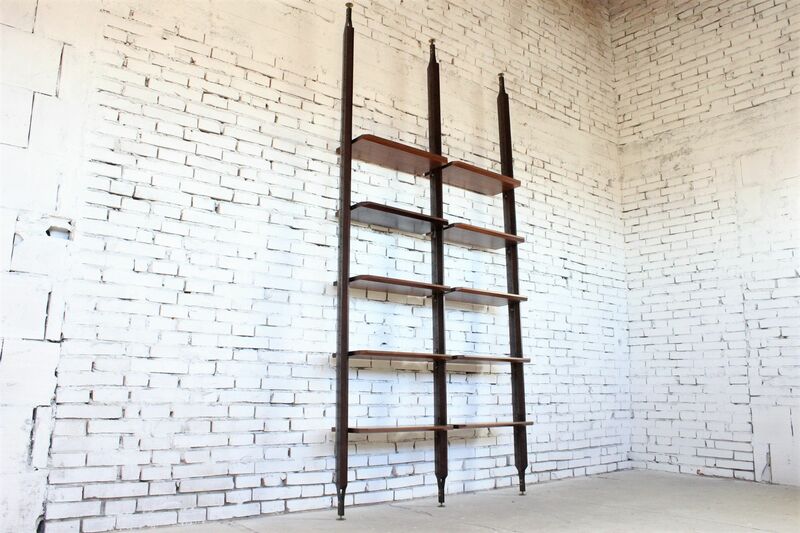 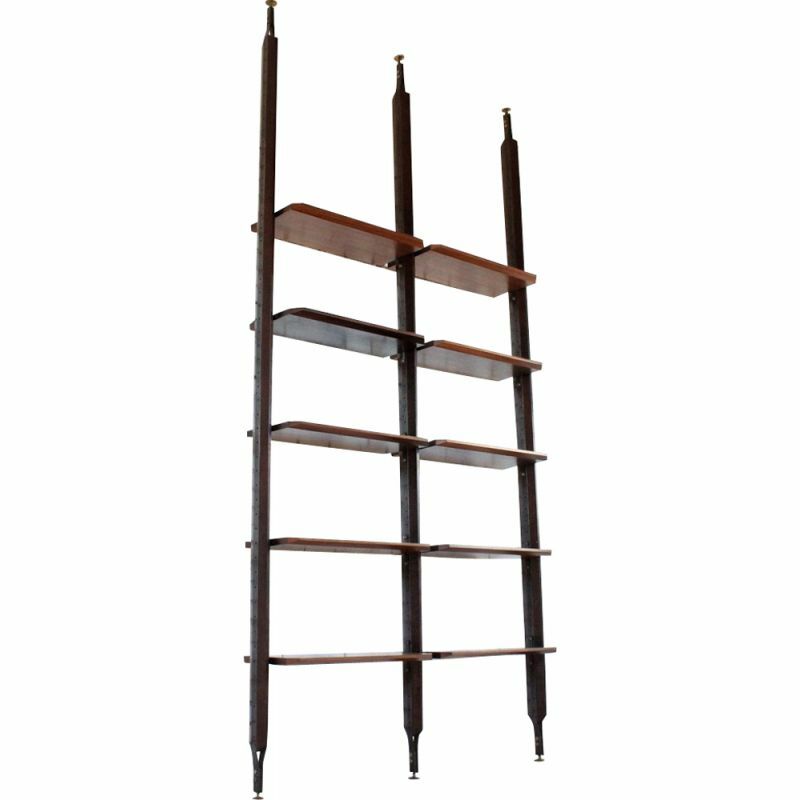 An elegant Italian mid century shelves bookcase by La Sorgente dei Mobili, Arosio 1950s. 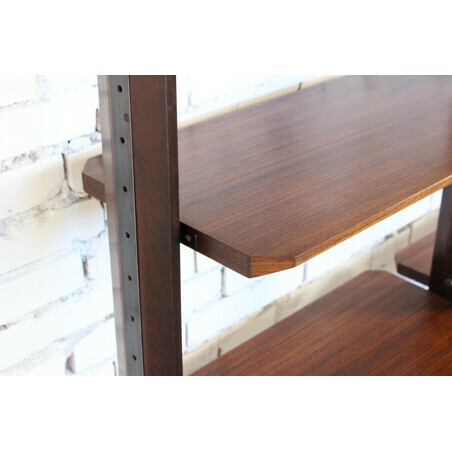 The structure is made by solid and veneered palisander. 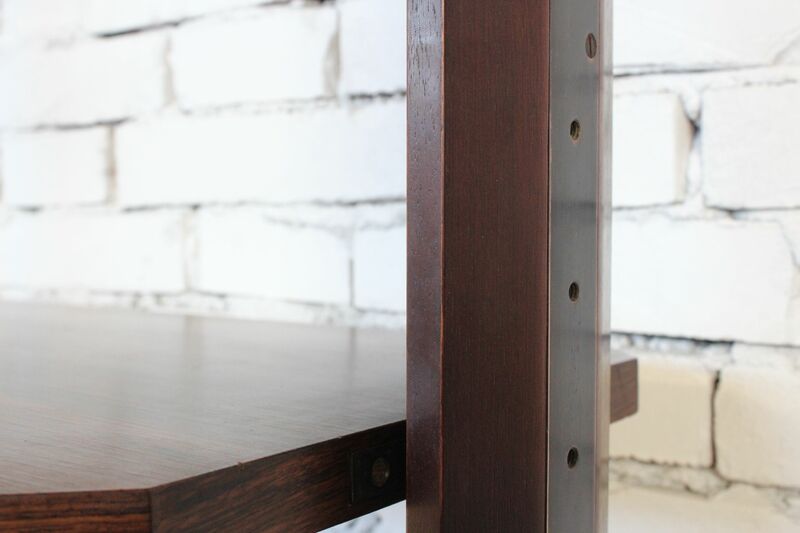 The surface has been refreshed. 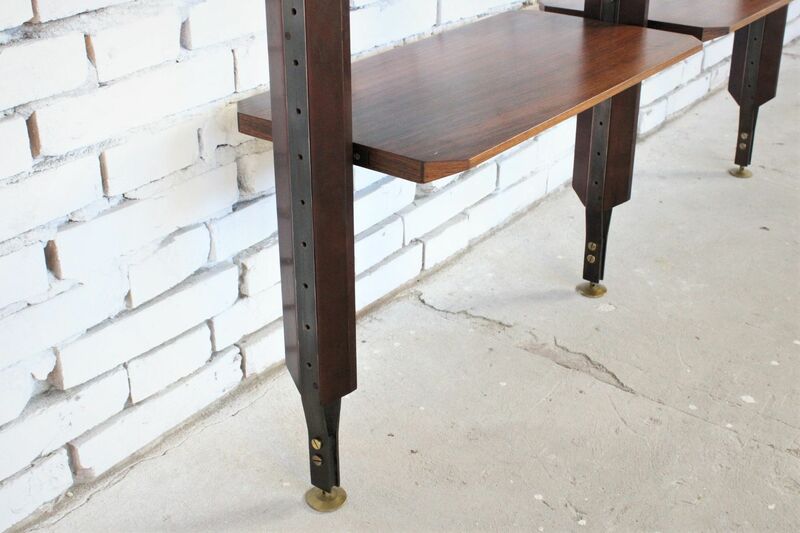 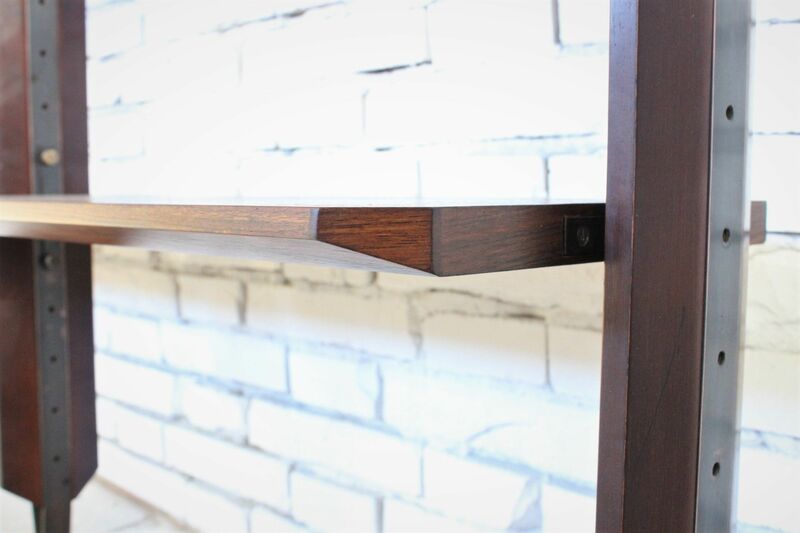 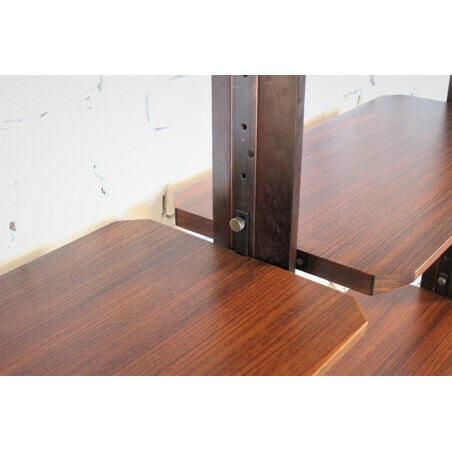 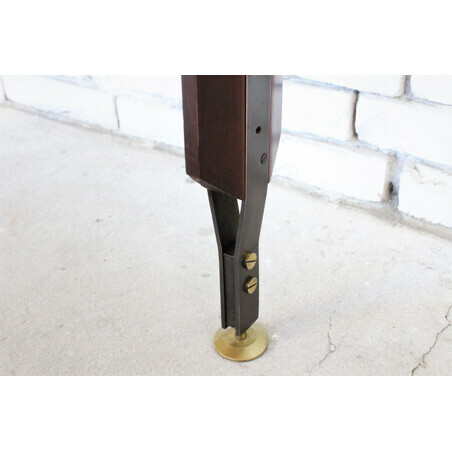 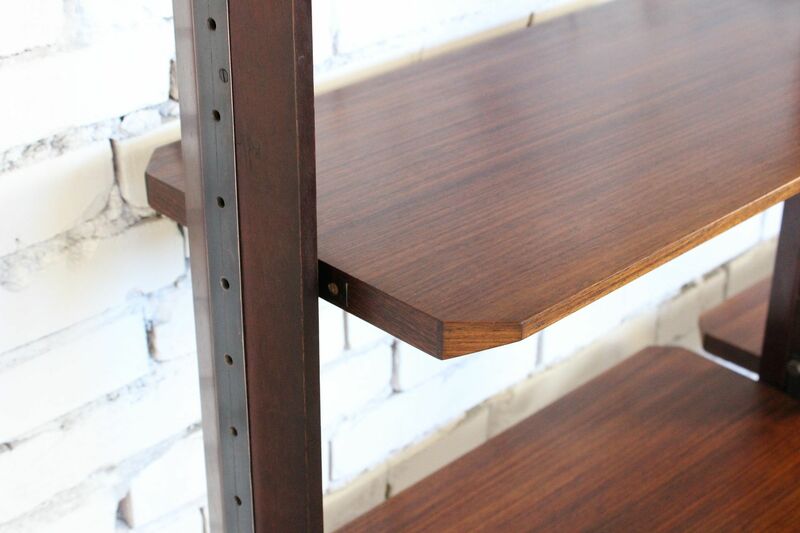 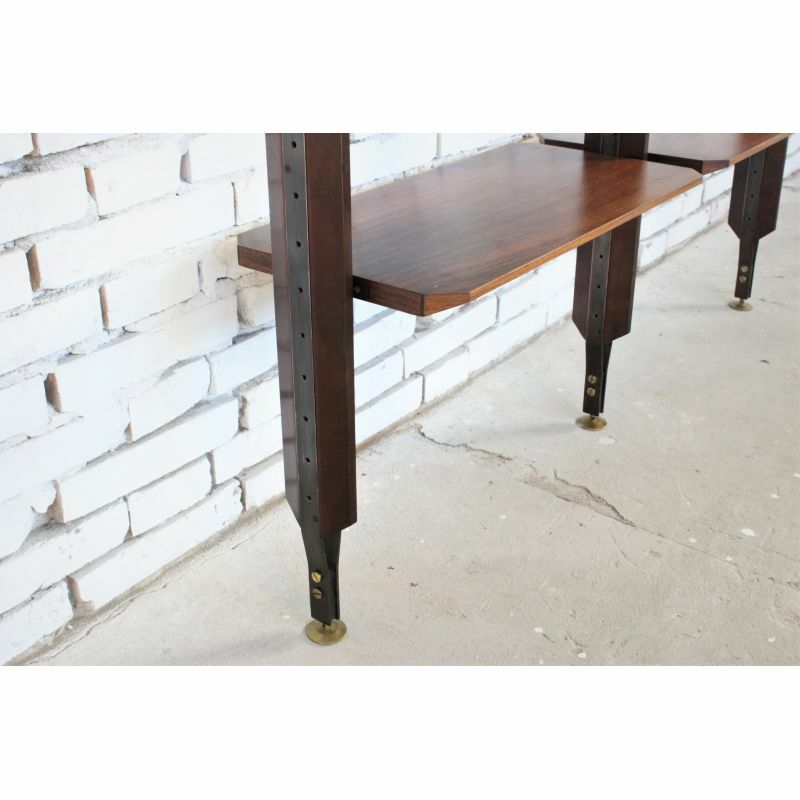 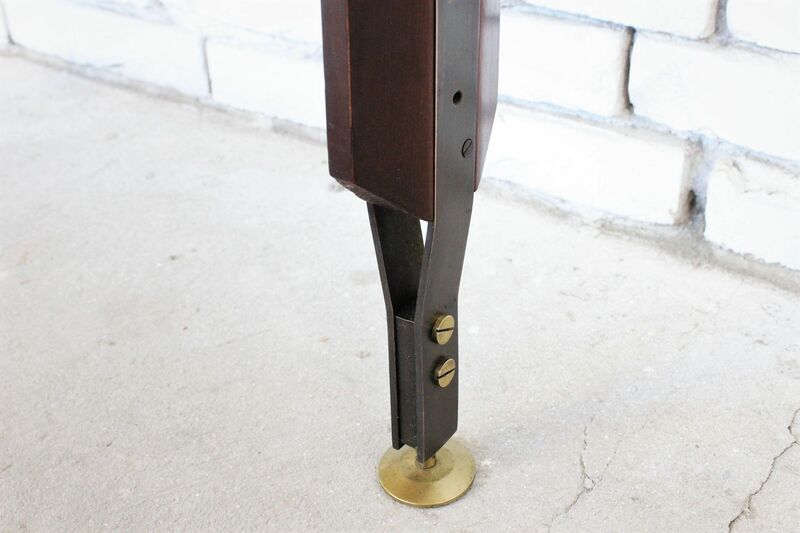 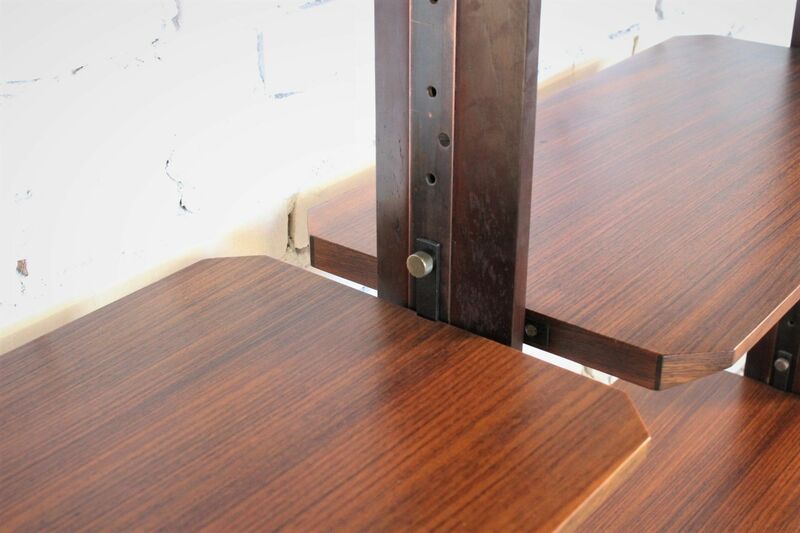 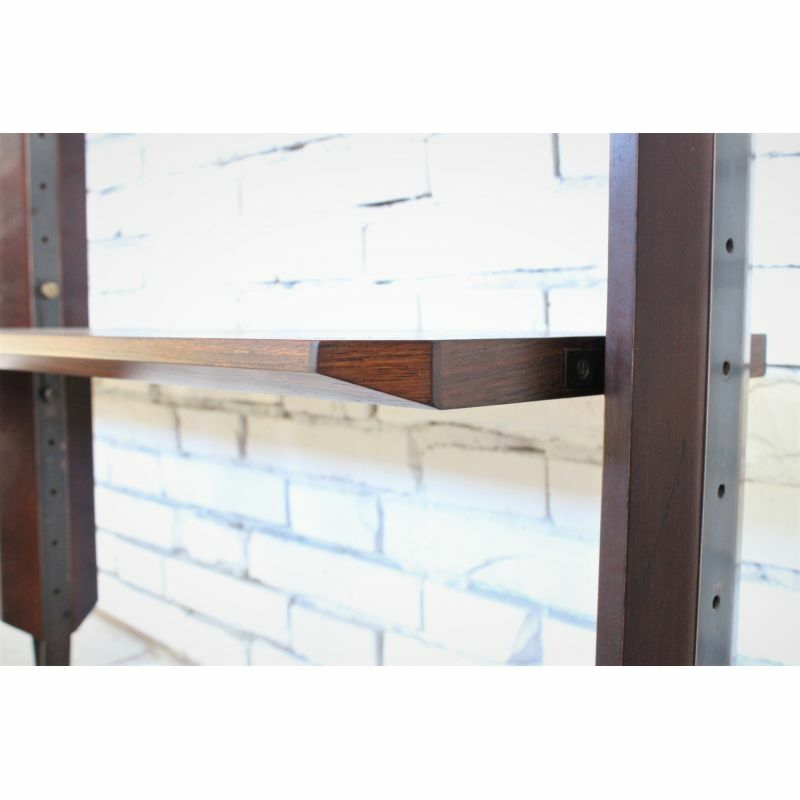 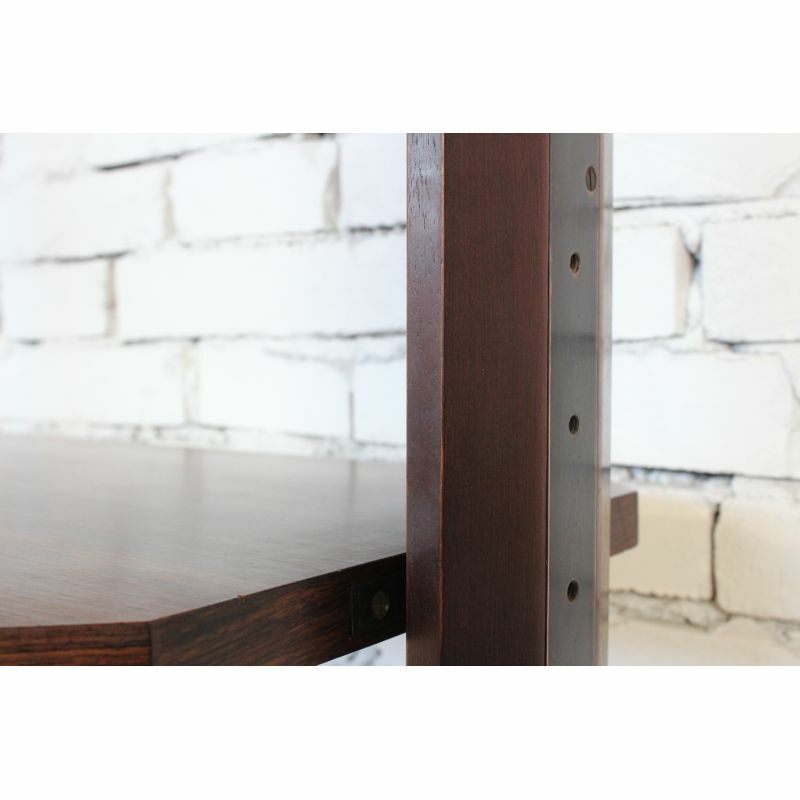 The shelves are modular, the feet and the screws are made by brass.The minimun height is 298 up to 305.